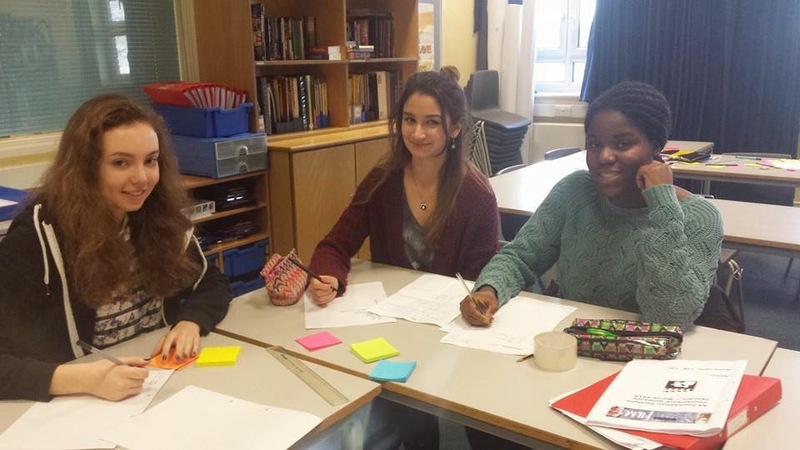 Amy's Media Blog: Evaluation Post 1: In what ways does your media product use, develop or challenge forms and conventions of real media products? Evaluation Post 1: In what ways does your media product use, develop or challenge forms and conventions of real media products? Our film is called 'Unlawful'. It is a neo-noir film about a young female detective who seduces a rich businessman and marries him. Little does he know that she has plans to manipulate him and kill him, in order to steal all his money. Our opening both uses and challenges the conventions of real media products. Before creating our opening, we had to do research into the form of a typical film opening. Here we can see the main character has been introduced as well as the setting, and we begin to see the narrative of the story, as he appears to be a normal guy driving around town. We do not learn much of the character from this opening, but we learn enough to figure out that he is a young man who lives alone and enjoys driving. The little we learn is what we were trying to achieve with Stacey, as we don't want to give too much away too soon. In this opening we again establish the setting, of L.A and we also learn a bit about the narrative and the main characters, Micky and Johnny who we automatically know are up to something suspicious, due to the voiceover. 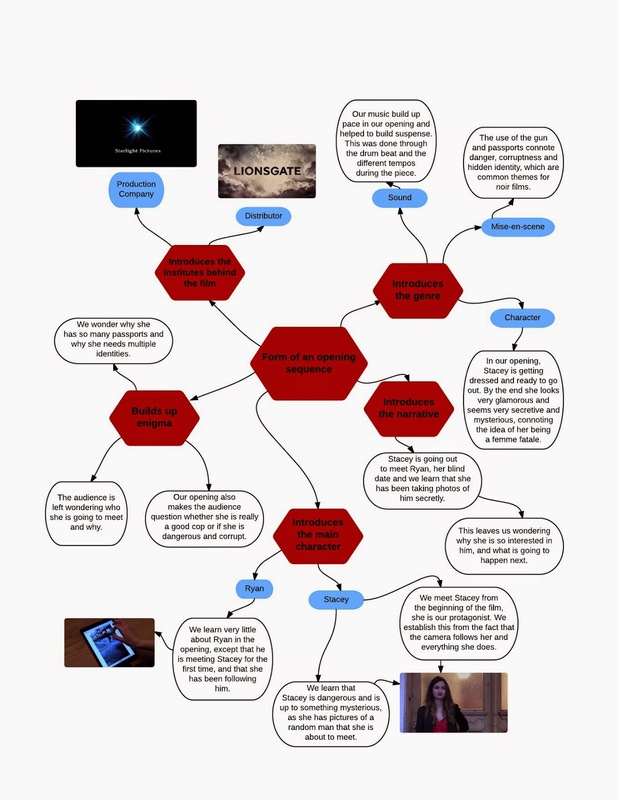 The prezi below shows some of the conventions of the neo-noir genre, and how we have/have not followed the conventions. We did mainly conform to the conventions of the genre, however with the use of a female protagonist, we challenged the convention of having a strong, "action man" male figure in the film. As inspiration for our film, we looked at Torodov's theory, which helped to structure our opening as well as our film. We followed the theory completely, however ours is more of a cycle, as we end with disruption, as the film is left on a cliff hanger. 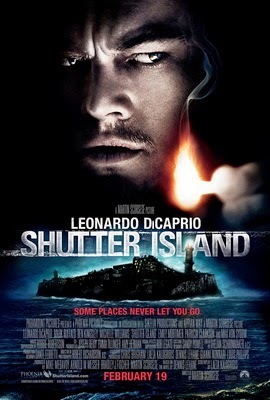 This is a crime thriller film, where in the beginning Teddy goes to visit an island where there is a mental institute and begins to solve a case (equilibrium), the disruption appears when the hospital refuse to help him, and say the missing person is likely dead, this is resolved when Teddy begins to find his own ways of solving the case. Lastly, disruption occurs again when he begins to doubt everything that is going on, including his own mind and he eventually breaks down. 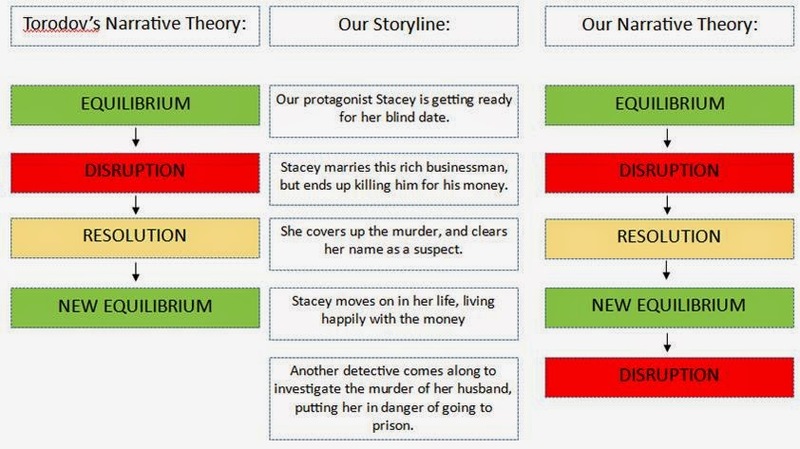 We used this theory to create some of our characters and themes. Why does Stacey have photos of Ryan? Why does she have a gun? Lots of passports? Lots of phones? Why does she seem so suspicious, if she is a detective? This is shown in the clip below, as the two codes link together. We conformed to this code, because the audience is anticipating whether Stacey will pick up the gun when she opens the drawer to put on her gloves. We developed this theory because we thought in addition to enigma code, this adds further suspense to the story, making the audience question what is going to happen next. - Who is the person in the car? - What are the family discussing? - Why does he splash himself with water? Although this film is more of a war drama, it still connotes that something bad is going to happen and this is what we wanted to try and get across in our opening. A film must connote its genre, through the way it looks and feels. In terms of grading, we wanted our lighting to look warm and ambient, so we challenged the conventions of film noir, in order to get this style. Some of the shots in our opening. We used gradient to make the dress and lipstick look brighter, which accents her femininity. Here are some stills from the opening of 'The Last Seduction' showing the contrast between the convention of dark scenes with low key lighting, in comparison to our warmer lighting. Our titles are quite plain. They have a black background and a simple font, but we added a flickering effect to connote the genre of neo-noir. 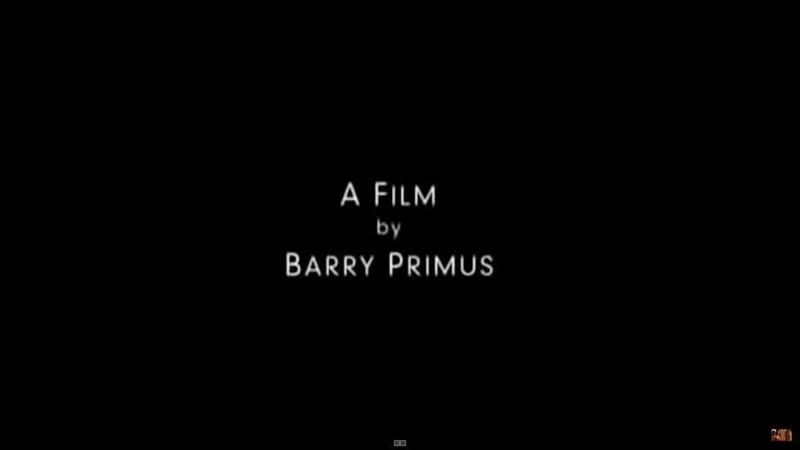 We decided not to have the titles over the shots as it makes it harder to see them, but having the titles cut in between our different shots, helps to build up the pace, as was done in the Se7en opening. We used this theory to show time was passing by using a montage of shots of her getting ready, so we know by the end when she leaves the room that she is ready to go out. The Last Seduction: In the first two minutes, the shot cuts from a pan up to looking over the city, to a shot of someone putting down the phone, showing time moving on in the scene. Overall, we followed most codes and conventions of both the genre and of an opening sequence. This helped us to produce an opening sequence which is similar to real media, but with our original idea. It also enables the audience to recognise what genre 'Unlawful' is part of.